At Wardway, we’re all about clear, clean, pools, and maintaining them the easiest way possible. Let us show you how. 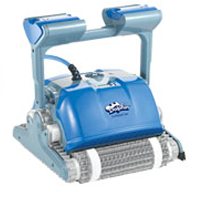 We stock suction, pressure, and robotic cleaners that’ll enhance your pool ownership experience. Automatic pool cleaners greatly enhances your pool owning experience. There are two types of pool cleaners. The first type is suction/pressure side cleaners. These work off of your pool circulation system and do an OK job.